What is the Best Area to Stay in Charleston, SC? The answer to that depends on what you’re trying to experience while you’re here in Charleston. If money’s no object and you want to be in the heart of the historic district, any of the boutique hotels and inns in the French Quarter will be perfect for you. Looking for something cheaper (or are just staying on a budget)? Check-out West Ashley or North Charleston. There’s a more in-depth answer to this question if you click over to our list of the best places to stay in Charleston, SC. 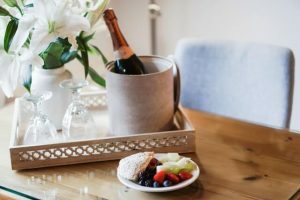 That guide also covers other, non-hotel options, like bed and breakfasts and vacation rentals in Charleston. To save everyone a little bit of time scrolling, I might as well knock this question out of the way quickly. My favorite hotels are mostly downtown because, well, I live downtown. Most of the ones off the peninsula are chains, anyway. With a few exceptions. That said, I’d be dreaming if everyone who reads this wants to drop $300 or more per night on their stay here. The ones at the bottom of the list are for the cost conscious. Regardless of whether you’re cost conscious or not, I recommend checking hotel websites before you book. You may find the lowest rate for the same room as on other travel agent sites. But more of that money goes direct to the business, so they can spend it on finally updating their rooms (in some cases, more on that later). You’ll also be able to check for vacation packages at the most romantic Charleston hotels more easily than elsewhere. I’m not going to tell you about all 80 hotels in downtown Charleston. That would be insanely boring. But I can start with the hotels in historic downtown Charleston, where most of the fanciest luxury hotels are located. In a word, there are a ton of these. And they’re pretty much all expensive. But it’s fair, because real estate is at such a premium in historic downtown Charleston. Add to that the fact that boutique hotels with more than about 75 rooms don’t easily get approval, and you can understand why those beds cost an arm and a leg. But there are more than a few chain hotels, as well. What you give up in experience you’ll make up with a slightly lower rate on your accommodations. A scan of a map of hotels in Charleston’s historic district would show most clustered around the two major thoroughfares of the tourist area. King Street and Meeting Street are where most are located, with some offshoots along East Bay and Broad Street. 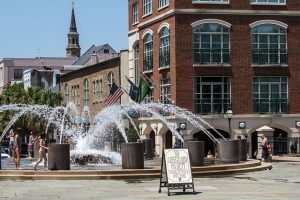 But the historic district isn’t that large, so any will be within walking distance of the best things to do in downtown Charleston. The Hyatt Place only opened a year or two ago after a construction period that lasted much longer than expected. But the final product turned-out well, as the rooms are large, comfortable, and everything is clean and new. We’ll see if they can keep it up. But it’s on the edge of Upper King, which means it’ll be at the center as development (and bars and restaurants) move further up King Street. The U-Haul area next door is planned to become a park, which will make for a better view. And breakfast is included. The King Charles Inn used to be a Best Western. It’s now independently owned, but there isn’t much they could do about the size of the rooms. And I was unimpressed by the attention to detail in terms of cleanliness. But still, it’s a great location at the corner of Meeting Street and Hasell. It’s actually right next door to the recently constructed Grand Bohemian Hotel. On the other side is Kahal Kadosh Beth Elohim, one of the oldest Jewish congregations in America. As far as hotels near Marion Square goes, this is across King Street from it. Francis Marion Hotel is hard to miss, as it’s one of the few taller buildings on the peninsula. That said, it’s an old hotel, with rooms that are smaller than modern standards expect. The front desk staff are friendly and professional, though housekeeping could use a little training. This place is a little dated, but it’s right on Wentworth Street. The Renaissance Charleston Historic District is also pretty inexpensive, considering where it is. The Hampton Inn is in a former office building. The rooms are big, and the pool’s pretty nice. But it’s a Hampton Inn, and you get what you pay for. Still, it’s between the Charleston Museum and King Street, so it’s very centralized. And breakfast is included. For a Holiday Inn, this hotel is pretty nice. It’s on Meeting street, around the corner from the Hyatt Place Charleston Historic District. 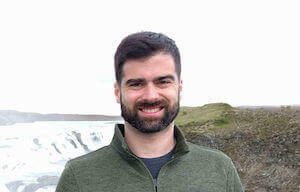 Get away from the Historic District, and rates for lodging get cheaper. Not as cheap as off the peninsula, mind you, but more tolerable. And the benefit to these is they’re still walkable. Anything is walkable if you have enough time, but these are still reasonable for the average non-hipster. The entrance to the Courtyard by Marriott Charleston Waterfront is not gorgeous. It’s pretty much highway and ramps, with Lockwood Drive and its entrance ramp to the James Island Connector close to its entrance. But the view across the Ashley River to West Ashley is beautiful. And the pool is quite nice, also featuring the same waterfront view of the marina. Close to where the new Publix is going up downtown at the corner of Spring and Lockwood Avenue is the Holiday Inn Express Ashley River Charleston. Of the chain hotels, Holiday Inn Express’s are fairly straight forward: clean, inexpensive, and comfortable. Not much more to say about that, except for the included breakfast. Which is much rarer than I realized before researching this piece. If you’re open to driving and don’t want to spend the money to sleep in the land of tourists and horse poop, your options broaden out literally in all directions from the peninsula. That said, I highly recommend you time your trips to and from downtown Charleston from your hotel. Trying to get into the city from about 9 am to 10 am and away from the city from about 4:30 pm to 6 pm will leave you sitting in a bit of traffic. Not New York or Washington, DC, traffic, but it’s bad to us. Most of these are chain hotels, so forgive me if I breeze through these. A chain is a chain is a chain. There are a lot of hotels in Mount Pleasant. I don’t care enough to find out how many, exactly. There are a string of chain hotels close to the Ravenel Bridge. As such, they’re within easy reach of the touristy parts of downtown. The plus is they’re closer to Mount Pleasant attractions, like Boone Hall Plantation and Gardens and Shem Creek. 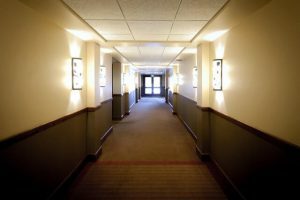 North Charleston is the place to go in the Tri-County area if you’re looking for a cheap hotel room. And I’m not even recommending staying at the Motel 6 North Charleston. There’s a broad selection of hotels near the Charleston airport, which is actually in North Charleston. North Charleston is synonymous with dangerous to people who didn’t live there. But the hotels near the airport are in a safe area close to some of the attractions visitors would prefer to find: like shopping at the Tanger Outlets. The Charleston Coliseum is also close by. And all the chain restaurants you can possibly imagine. There aren’t really any decent hotel options in Park Circle, the main cultural area in North Charleston. But the airport’s just on the other side of I-26, so they’re not far away. Be sure to time your trip according to when the trains are passing through. Just like in Mount Pleasant, the list of hotels is limited to chains. Most of the North Charleston hotels along International Boulevard are on-par with any of their compatriots across the country. West of the Ashley River, or West Ashley as it’s known locally, is part of Charleston. For the amount of time people downtown spend looking down on it, you would have a hard time believing that. But more people live in West Ashley than downtown. And much of West Ashley is higher ground than marsh, so it’s actually buildable. So, as good Americans, Charlestonians threw up tons of strip malls from World War II to the present day. But, with more land to build on, it’s cheaper to put up a large hotel. And so hotel rooms are cheaper out that way. Stay away from the hotels built just over the river from downtown. At this point, they’re old without much regular maintenance or updating. I recommend either the Town and Country Inn and Suites, or the Holiday Inn Express across Savannah Highway. They’re both close to where 526 begins off of Savannah Highway. They’re also near to the Citadel Mall. The shopping isn’t great, but it is fun to walk through and see what malls look like shortly before they become one of those derelict ones you see in the media. Of the two, I’d recommend the Town and Country Inn and Suites. It’s clean, well-maintained, has a decent pool, and the rooms are larger. The Holiday Inn Express is dark with smaller rooms, though breakfast is included. If you’re severely on a budget, there’s also a Motel 6 within walking distance. But that’s not me recommending it. Many people visiting Charleston seem to think they can find a hotel in downtown Charleston that’s oceanfront. That makes no sense, as Charleston came to be because of the port that could develop in the harbor that envelopes it. At best, you can find something on the harbor or one of the rivers, like the Courtyard Charleston Waterfront. 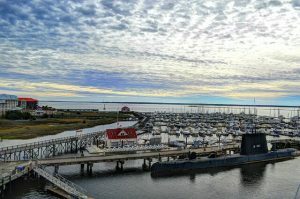 Across Charleston harbor from downtown Charleston is the Charleston Harbor Resort and Marina. While not oceanfront, it does have some fantastic views from the rooms, the pool, and their resort beach. And like any decent waterfront resort, there’s a restaurant, marina, and spa on premises, though the food isn’t fantastic. It is certainly convenient to downtown and Patriot’s Point, though. Part of that beautiful view includes the USS Yorktown. For accommodations that are actually oceanfront, get out to the beaches near Charleston. You have to drive the 20 minutes or so to Folly Beach or 30 minutes to Isle of Palms. 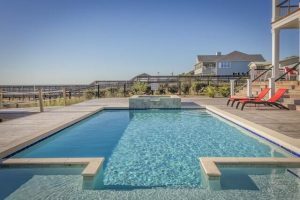 Folly Beach is a fantastic place to snag a vacation rental, but hotels are rather limited. Really, the only hotel option right on the beach is the Tides Folly Beach. That said, it ain’t fantastic. The rooms are dated and could use a solid cleaning. That said, there are some nice views of either the beach and ocean, or the main drag of Folly Beach. And it’s an easy walk to everything on Folly Beach. And rates are fairly inexpensive for oceanfront hotels in the Charleston area. Other oceanfront hotel options are on the other end of the Charleston area from Folly Beach, on Isle of Palms. I much prefer Sullivan’s Island and Folly Beach to Isle of Palms. It’s farther away from downtown. But there are more places to stay out there, and the hotels are less expensive than closer to Charleston. These two hotels are right next to each other on Isle of Palms. They’re both relatively inexpensive, and both waterfront. But like other oceanfront hotels on this list, you’re paying for the view. There are better hotel rooms out there, with better service. As with every hotel in this article, be sure to check the Palms Oceanfront Hotel and the Seaside Inn for lower rates. I would be remiss to list all the oceanfront hotels on Isle of Palms and not mention the most famous resort on the island. Wild Dunes Resort is also inexpensive, but has a lot of amenities to go with your accommodations. From tennis to pools to beach and bike rentals, Wild Dunes Resort has pretty much everything you need for a great vacation on premises. Which is fantastic, because the trip to see Charleston is a trek from here. 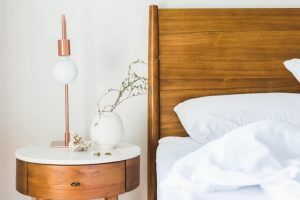 What About Bed and Breakfasts in Charleston? There are a ton of these, too. Having grown-up in a family-owned and operated bed and breakfast, bed and breakfast inns have a special place in my heart. Too many doilies and I’m out. There are a ton of romantic bed and breakfasts in Charleston’s historic district. The majority of Charleston bed and breakfasts do appear to be concentrated in downtown Charleston. What to Do After Finding the Best Hotels in Charleston, SC? That’s definitely more my element. You could have hotel food, or you could find some of the best casual restaurants in downtown Charleston. There are plenty of options for great downtown Charleston seafood restaurants. 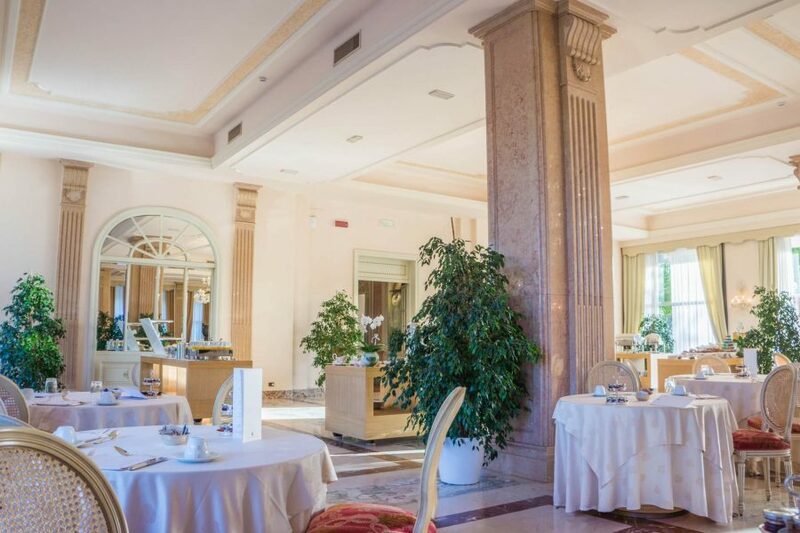 There are also plenty of fine dining places to eat, depending on the occasion for your visit. There’s also an abundance of things to do. 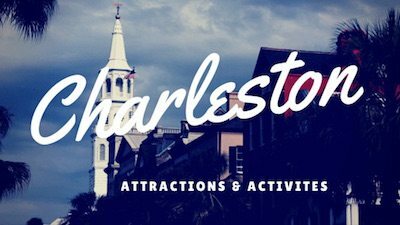 Check out the list of free attractions, activities, and things to do in Charleston after you drop a small fortune on a room downtown.